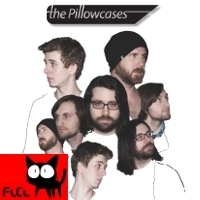 The Pillowcases are the number one Pillows cover band in the world. For many, that’s all we need to say. But if not, let me ask: do you like FLCL? Of course you do. And that means you like the band the Pillows, who made the soundtrack for that anime. The Pillowcases are on a mission to rock out every con in the country and spread the joy of the music of the Pillows to everyone. Along the way, you’ll hear covers of some of nerd fandom’s favorite songs just to mix things up a bit. So get your butts down to see the show, it’s going to be awesome.